For the Syrian government, retaking the last militant stronghold in Idlib is crucial to scoring a final victory in the seven-year civil war. In a bid to avoid massive loss of life in the event of a major assault by Syrian government forces, Turkey has drawn up a plan that would allow militants safe passage from the northwestern province, the newspaper Daily Sabah reported. According to the plan, unveiled by Turkish President Recep Tayyip Erdogan during a meeting with his Russian and Iranian counterparts in Tehran to discuss the war in Syria and a possible military offensive to retake the rebel enclave of Idlib, 12 armed groups, including the jihadist Hayat Tahrir al-Sham, would surrender their weapons. The fighters would then be evacuated to a buffer zone under the surveillance of the so-called moderate opposition on condition that they hand over their weapons to a coalition of militant groups backed by Ankara, the newspaper wrote without revealing its sources. 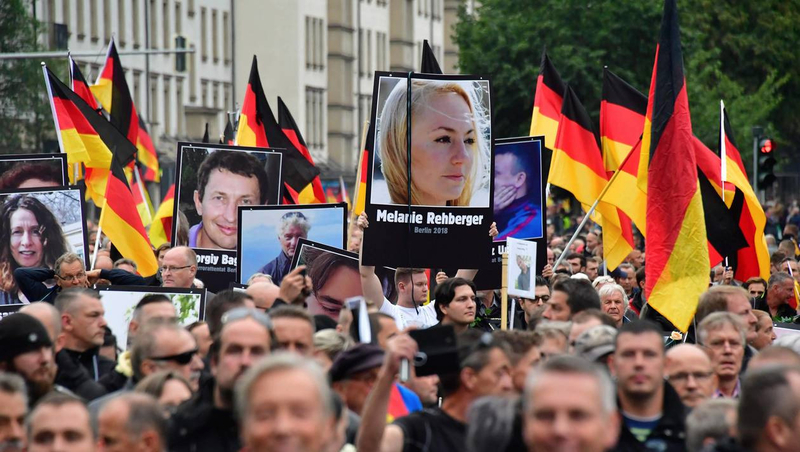 Foreign fighters would be allowed to return to their home countries, but the groups who refused to disarm and move out would become the target of counter-terror operations. Turkey will then train a militant force to ensure security in the province, just like in other Syrian regions controlled by Ankara-backed fighters. Fearing that a major assault on Idlib could cause “disaster” and send refugees streaming across its borders, Turkey has spent the past few weeks in intense negotiations with Russia. The province of Idlib is home to about three million civilians — nearly half of them displaced from other parts of Syria. According to analysts, Ankara could agree to a limited offensive in Idlib by Damascus and its allies even if it leaves the question of the long-term control of the province open for now, the Daily Sabah wrote. 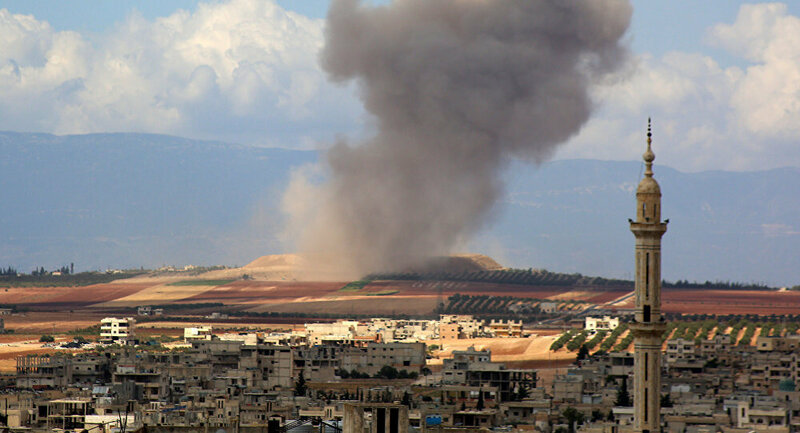 Russia and Iran are both allies of the Syrian government, which wants retake Idlib in what it sees as the next critical step to clinching a military victory in the seven-year civil war that has killed more than 400,000 people and displaced millions. 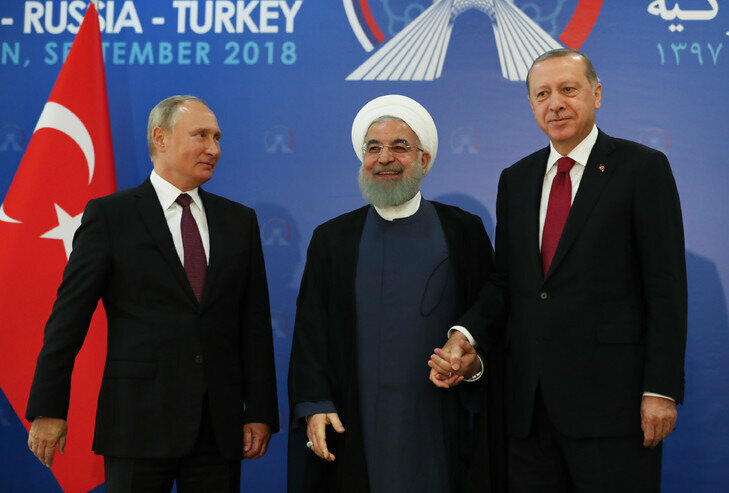 The Tehran summit between Hassan Rouhani, Vladimir Putin and Recep Tayyip Erdogan may determine whether diplomacy halts any military action in Idlib. Their previous meetings in Sochi and Ankara led to the creation of the so-called “de-escalation zones” in several parts of Syria, including Idlib, which temporarily reduced violence. A series of previous rebel surrender deals clinched in Syria over the past year have offered safe passage for tens of thousands of militants and their families to Idlib, making the province the last bastion of the armed resistance to Damascus. The Syrian Arab Army is getting ready to launch an offensive against terrorists in Idlib province, Omer Osi, a member of the Syrian Parliament, told Sputnik, expressing confidence that the region would eventually be liberated. The Syrian MP explained Turkey's concerns about the upcoming advance. 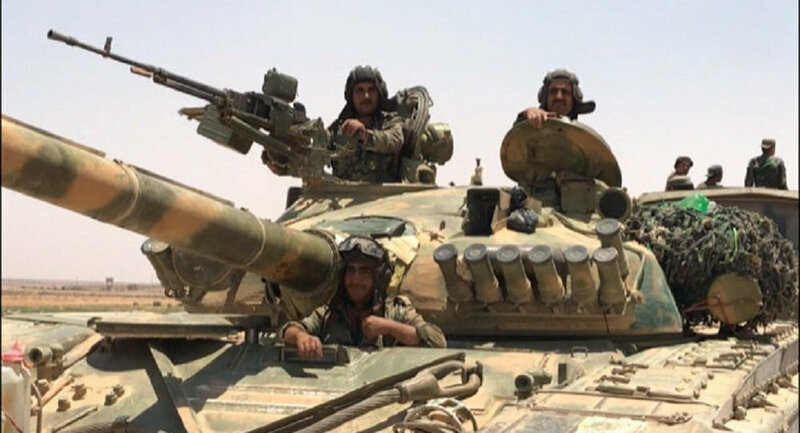 "Government troops are making final preparations with reinforcements and military equipment being sent from Damascus, Aleppo and Hama to the Idlib region," Omer Osi, a member of the Syrian Parliament of Kurdish origin, told Sputnik Turkey. "They are waiting orders to launch an offensive. The Syrian armed forces are determined to liberate Idlib from terrorists, and we are sure that it will certainly be taken in the near future." Earlier, Damascus had announced a large-scale operation to free Idlib province, the last terrorist stronghold in Syria. However, the US signaled its discontent with the upcoming offensive. "President Bashar al-Assad of Syria must not recklessly attack Idlib Province. The Russians and Iranians would be making a grave humanitarian mistake to take part in this potential human tragedy. Hundreds of thousands of people could be killed. Don't let that happen!" US President Donald Trump tweeted on September 3. In response, Moscow underscored that Idlib remains the last hotbed of terrorism in the region, which undermines "attempts to bring the situation to the track of political and diplomatic regulation." Meanwhile, Turkish President Recep Tayyip Erdogan echoed Washington, saying that the Idlib operation could turn into nothing short of a "massacre." Earlier, US Secretary of State Mike Pompeo and Turkish Foreign Minister Mevlut Cavusoglu had agreed during a phone conversation that a Syrian government advance on Idlib would be "unacceptable." Osi explained that Russia, Turkey and Iran were continuing negotiations regarding the situation in Idlib, adding that Erdogan's concerns had certain grounds: Should the operation take place, terrorists will flee Idlib and move towards Turkey. "As you know, Ankara opposes this operation, because in this case members of the terrorist groups, currently located in Idlib, will move towards Turkey," he elaborated. "When operations were carried out to liberate Hama, Aleppo and other Syrian territories, the terrorists retreated to Idlib. Now they have nowhere to retreat, except the territory of Turkey." It is expected that the Idlib operation will be discussed by the leaders of Turkey, Russia and Iran during an upcoming summit in Tehran on September 7. Idlib province is in one of Syria's de-escalation zones and remains an important foothold for jihadi fighters. Tensions are growing steadily over reports that terrorists might prepare a chemical provocation to provoke Washington into retaliating against Damascus. On August 22, US National Security Adviser John Bolton signaled that the US would resort to tough measures against the Syrian government in case chemical weapons are used. Previously, the Trump administration had carried two missile strikes on Syrian Arab Army positions under unconfirmed reports of alleged chemical attacks. 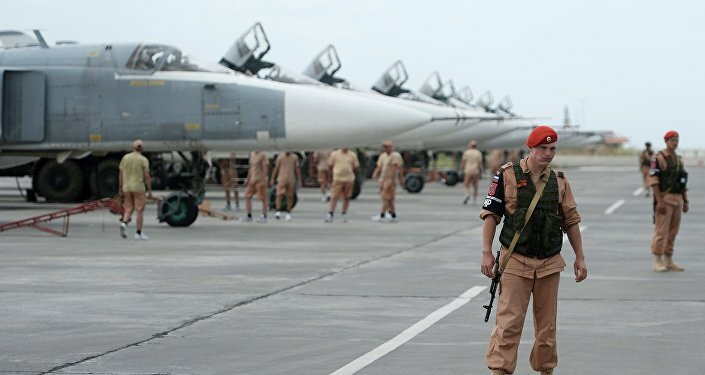 Meanwhile, on Tuesday night, four Russian warplanes, deployed at the Hmeymim air base, conducted strikes on positions of the al-Nusra Front* terrorist group in the region. According to Russian Defense Ministry spokesman Maj. Gen. Igor Konashenkov, the Russian aircraft destroyed warehouses and workshops of terrorists. "The Russian aircraft carried out all strikes solely on the identified terrorist targets, as confirmed through several channels, located far from settlements," Konashenkov emphasized. Delivering a speech at the Moscow State Institute of International Relations (MGIMO) on September 3, Russian Foreign Minister Lavrov addressed the issue of the seven-year-long war in Syria, highlighting that "there is no place for terrorists in Syria and that the Syrian government has every right to seek their liquidation on its territory." "We are now taking the most active effort, together with our Turkish colleagues, together with the Syrian government, and with the Iranians as participants in the Astana format, to split the armed normal opposition forces from the terrorists on the ground," Lavrov underscored. *Al-Nusra Front is a terrorist group banned in Russia. Commentaires sur THE END OF WAR IN SYRIA ? THAT IS THE QUESTION !